Two Left - RBC — Two Left Co. It takes an amazing workplace to deliver great performance. The people of RBC certainly live up to that claim, but RBC needed to expand their brand to entice high caliber candidates. 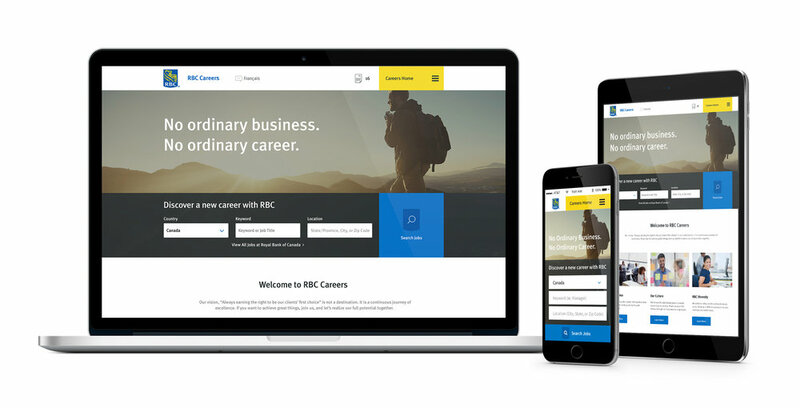 Working within RBC's extensive brand guidelines (and finding a little wiggle room), this employment site design leverages environmental wonders of Canada with RBC's opportunistic culture. The result is a brand you can envision yourself thriving in, growing not only professionally, but personally as well. This project was designed for FZ Creative in partnership with Careerbuilder.